New Delhi, August 17: The Indian Army on Thursday asked Pakistan to institute measures to prevent infiltration done by terrorists from the launch pads located on its side of the Line of Control’. Notably, the unscheduled interaction over the hotline took place last evening following a request by Pakistan. 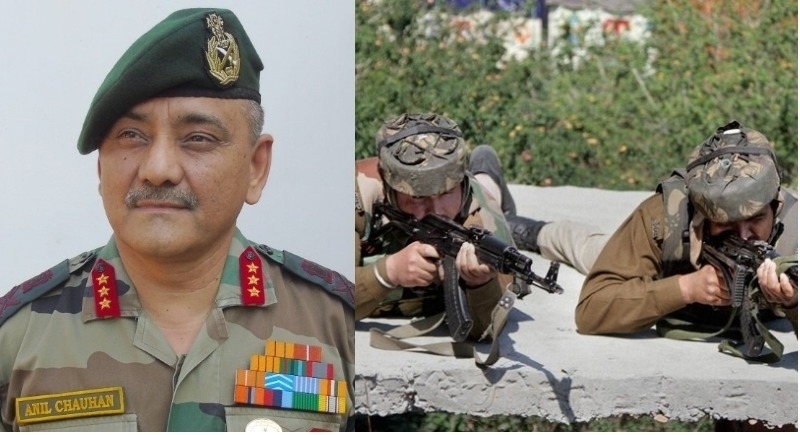 The Indian Army's Director General of Military Operations (DGMO) Lt Gen Anil Chauhan spoke to his Pakistani counterpart and asked them to institute measures to prevent infiltration done by terrorists from the launch pads located on its side of the LoC. In a telephonic conversation, pleasantries were exchanged between the DGMOs on the occasion of Independence Day of both countries. Indian DGMO emphatically stated that infiltration attempts by terrorists were a major cause of concern. He also informed the Pakistan DGMO that ‘these activities have increased in the areas North of Pir Panjal Mountain Ranges. "Pakistan must institute measures to prevent infiltration from the launch pads located on its side of the Line of Control," he noted. Indian DGMO also assured that the Indian Army will abide by its commitment to uphold the Ceasefire Understanding of 2003 provided Pakistan Army initiates positive steps to control infiltration and abetment of terrorism in Jammu and Kashmir. While Pakistan DGMO expressed satisfaction on the measures being taken along the Line of Control by troops to maintain peace and tranquility. "The quantum of ceasefire violations has drastically reduced and augers well for the future," he added. Pakistan DGMO, in the end, made an assurance that Pakistan Army would take prompt actions against move of inimical elements in proximity to the Line of Control and respond to information shared by the Indian side thereby facilitating conduct of anti-terrorist operations.